The albums by keyboardist and composer Jamie Craig occupy a unique position in the musical world because they create a new fusion that blends the soft emotionalism of new age music with the fiery progressive edginess of jazz-rock. He follows his Top 10 instrumental-music debut recording The Lost Dream with a new CD, Illumination. Craig also mentions the drumming influences of Billy Cobham (Miles Davis, The Mahavishnu Orchestra) and Lenny White (Miles Davis, Return to Forever), the dark melancholy production work of Brian Eno with David Bowie, and other guitarists such as David Gilmour of Pink Floyd and Allan Holdsworth. More information about Jamie Craig and his music is available on his website (www.myspace.com/craigsounds). Craig’s first recording, The Lost Dream, went Top 10 in airplay on the international New Age Reporter/Zone Music Reporter radio charts, and went to #1 on Amazon’s Smooth Jazz sales chart and Top 10 on Amazon’s New Age sales chart. The music on that album also went to #1 for specific programming blocks on WWSP in Wisconsin and WTUL in Louisiana. The title tune was featured on a special international compilation CD, Music for Coffee Beings, alongside music by Serena Ryder, who won the Juno Award for “Best New Artist” that year. “As I said when my previous CD came out, I appreciate the beauty and usefulness of soft, meditative new music, but the instrumental albums I am making are for anyone who grew up on rock or jazz-rock and still enjoys hearing a solid bass-line and a full drum kit. Depending on your perspective, you can look at it either like I am expanding the new age spectrum with more of a backbeat, or I am making all-instrumental prog-rock on the softer side. Either way I feel there is an audience for this ‘progressive new age rockin’ zone music,’ or whatever you want to call it. That’s why I named the new CD Illumination, because the concept of the recording is to enlighten the listener. It is sort of like bringing new age music out of the darkness into the light and spotlighting it and giving it more presence,” states Craig. Craig was a rock’n’roll electric bassist for many years before expanding his arsenal to include electric guitar, piano and an ever-updated collection of keyboards. Now he composes on piano, but creates the full band sound on his recordings exclusively using keyboards, synthesizers and computers. In addition to the core band sounds (piano, electric guitar, bass and drums), Craig utilizes many others here and there on Illumination including acoustic guitar, saxophone, flute, organ, electric violin, English horn, trumpet and percussion. On his Illumination album, Craig found songwriting inspiration far and wide including the Caribbean (“San Juan”), New Orleans (“To Nola With Love”), space exploration (“Voyager IX”) and our planet’s atmosphere (“H2OZone”). He also uses philosophical thoughts in his songwriting (“Lost & Found,” “Reflections” and the title tunes). The range of his subject matter stretches from having a good time (“Midtown Saturday Night”) to “Guardian Angel” (“we all hope one is watching out for us”). Although his overall sound remains similar to what was heard on The Lost Dream, the new CD features electric violin on three tunes (not heard previously), and more sax and guitar than on the previous album. But Craig also explores new territory in his arrangements too. He structures “Midtown Saturday Night “ with various sections and tempos to reflect the ups-and-downs of an evening on the town. The melody remains the same in “Illumination I” and “Illumination II,” but the instrumentation is quite a bit different. The first one has violin, guitar, bass and minimal drums. The second version kicks into gear forcefully with a full drum kit plus bass and acoustic piano. Craig’s trademark sound is his strong use of bass and drums. “My music is totally written from the rhythm perspective. I start with the groove and that’s what dictates the melody lines and the various lead instruments,” he explains. Sometimes he plays a funky bass line (“Mirage”), or a fluid melody-oriented bass part with distinct note patterns (“Lost & Found”), or a fretless-bass rhythmic rumbling undercurrent that propels the music along (“Midtown Saturday Night” and “Sealed Fate”). Additionally, when Jamie was seven-years-old he was so impressed by the sounds of Herb Alpert & The Tijuana Brass that the youngster started learning to play trumpet in school. Jamie switched to tuba when he was 12, but finally settled on bass guitar at 15. He played in numerous rock bands that performed at parties, bars and clubs throughout the Detroit area, primarily playing rock’n’roll ranging from Bob Seger to Bachman Turner Overdrive. In the Eighties Craig began playing synthesizers and joined the tidal-wave of synth-pop music led by influences such as Thompson Twins, Pet Shop Boys and Tears For Fears. Craig recorded three vocal albums of synth-driven music (Boys, In My Car and The Rhythm Takes All) featuring himself singing original material. The New York-based manager of The Romantics showed interest in signing Craig to that band’s label, but Craig decided to go with Detroit-based Bad Boy Records instead. Throughout the Nineties, Craig continued to compose new material and study the rapidly-changing music-creation digital technology involving MIDI, increasingly-versatile synthesizers, and computers. He was inspired by the sounds of acts such as Talking Heads, The Cranberries, The Sundays and Natalie Merchant. He once took a music lesson from Robert Fripp who tutored Craig on guitar loops and electronic feedback. In the 2000s, Craig decided to move into the world of instrumental music. 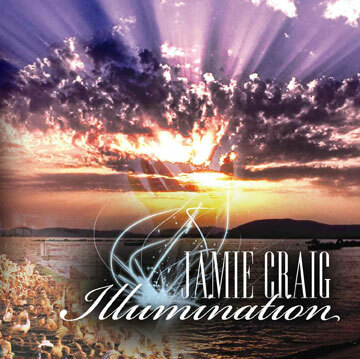 Jamie Craig's new CD is a "Lost Dream"
© 2009 EMOL.org Music Entertainment Magazine. All rights reserved. Free trial period. Napster Subscription ($9.95/month) offers access to over 5 million songs with unlimited downloads, and Napster To Go ($14.95/month) let’s Napster Subscribers transfer unlimited songs to their compatible MP3 player. Napster.de: Music-Flatrate 7 Tage kostenlos testen! 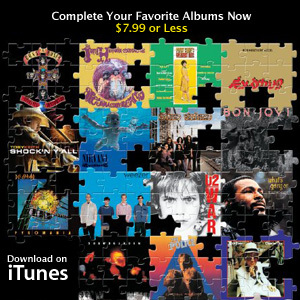 Complete Your Favorite Albums Now. $7.99 or Less. Download on iTunes now.